My two current writing projects are very constrasting towards each other in the respect that they are completely different things. At Love To Tag I write about my own personal life is a variety blog to the up most level. I have my photographic work there and I display updates on my personal life (it’s ok, currently it is very active and, dare I say, interesting). That site is about my online identity and my production group. My music reviews website is about reviewing the latest music from the perspective of a music expert, I’ve been a musician since i was young and love music all around. The first blog I ever wrote on was a blogspot (now know as blogger) blog that was, if I’m very honest, terrible. That’s usually how everyone starts. My friends told me it was very funny but it most definitely was not! I then moved on to a site that we called Tube And Loop which was a, highly rated in reviews, comedy blog where I worked as a co-writer and head of design. This was under the name of my production group and I was credit as the founder of Tube and Loop. This was where I really hit it off in the blogosphere. Both of these sites are down now but I’m onto bigger things of course. Don’t bother with a blogspot/blogger site and don’t make a yourwebsitenamehere.wordpress.com site, either purchase a domain or use www.dot.tk although I do highly recommend you get a wordpress site and buy a domain through PayPal! Another good tip would be GUEST POST and PROMOTE PROMOTE PROMOTE both bring you traffic. Currently they try to be very “down with the kids” and “hip and trendy” what ever it is they are trying to achieve by doing this, they’re failing miserably. It’s really pathetic to see a group of highly paid advertising brain stormers come up with “lets put some cheesy graffiti wild-style on there to be down with the kids. Bloggers presume that they’re terrible, yet also presume that you have read every single one of their post! It’s very annoying to go to someones blog and see some sort of inside joke on the latest post because you haven’t been reading all the other posts?!?! When I see that politics is being affected by bloggers then I begin to believe blogging and social media IS the future media and this must be a very scary thing for those who are trying to control the way we think…. They’ve obviously seen the success of YouTube etc. where you can make your own content and display it to an audience so they have been requesting the assistance of online producers and surfers to come up with ideas. The most recent instance in Britain are the confused.com commercials including YouTube, Weblebrities, Benloka and CharlieIsSoCoolLike. I blog, I write, i influence, I love and most of all I promote peace. I used to read Stephen King but I stopped reading offline for awhile. Lots of rock, metal and hip-hop. Also fast trance music. Stuff to spur me on during the day. All Shetland Music Events The Shetland Folk Festival ETC. (shetland is the place I live) I get really involved with music on this island I live on. I Instant Message and I email. I like the way twitter works very much, too. 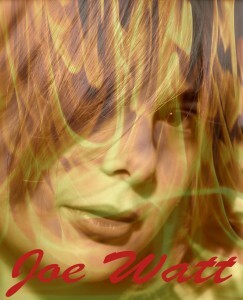 Thanks to Joe “Love To Tag” Watt of Love To Tag Productions! Pingback:“No one’s an easy explanation and that’s why so much ripping, stomping, snorting, cussing and yelling…” : Give Me a Music Revolution! Pingback:Music Review: Wilco - Wilco (the album) : Give Me a Music Revolution!